ClickPoint invests in partnerships with reputable and trusted security solutions. The ClickPoint data security, privacy, data retention, and reliability assurances are outlined below. Upon request, ClickPoint can provide additional documentation as needed. Microsoft invests over a billion dollars annually in cybersecurity, including the Azure platform. Microsoft has over 3,500 dedicated cybersecurity professionals working together across the Cyber Defense Operations Center, digital crimes unit and other teams to help protect, detect and respond to threats in real time. 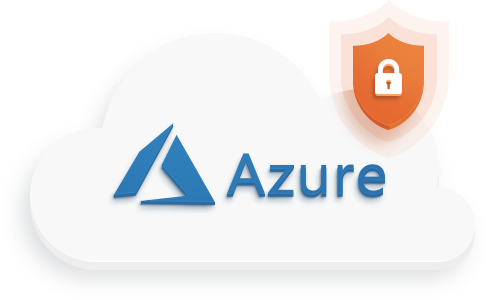 For physical security, Azure has hundreds of data centers in 50 regions, and these have extensive multi-layered protections to ensure unauthorized users cannot gain physical access to your customer data. The Microsoft Azure datacenters are certified to comply with the most comprehensive portfolio of internationally-recognized standards and certifications of any cloud service provider. Azure meets a broad set of international and industry-specific compliance standards, such as General Data Protection Regulation (GDPR), ISO 27001, HIPAA, FedRAMP, SOC 1 and SOC 2, as well as country-specific standards, including Australia IRAP, UK G-Cloud, and Singapore MTCS. Rigorous third-party audits, such as those done by the British Standards Institute, verify Azure’s adherence to the strict security controls these standards mandate. The extensive network infrastructure has built-in protections against DDoS to safeguard your resources against volumetric or protocol layer attacks. In addition to building solutions with security in mind, ClickPoint maintains internal audit controls and policies that ensure your data protection is always a priority. All sites and services are SSL encrypted and use HTTPS, the most widely accepted and trusted protocol available. ClickPoint uses trusted and reputable third party security solution providers for regularly scheduled vulnerability testing. We don’t accept our internal validation, and neither should you. Third party vendors help us look for problems before they occur. Tests include all internal and external IP’s, as well as network, server, and database vulnerabilities. ClickPoint deploys both monitoring and logging to help identify issues that could be a threat. While monitoring looks at both internal, external networks, logging helps us identify issues that potentially could be deeper within our applications. Logging also ensures that we can identify performance bottlenecks and issues much faster. All customer data is backed up to offsite locations that have redundancy, are built for reliability, and scalability. You can rest assured that we perform data back up every 15 minutes which ensures we can recover from any system outage our threat with confidence. ClickPoint offices require key card access and are monitored with cameras both internally and externally. Employees are required to utilize two-factor authentication, and third-party services monitor internal networks protected by firewalls.